Snow Hill, Md. (September 16, 2013) – Get fit, lose weight, and improve your health with a free 16-week program offered Mondays and Wednesdays, 5-6 p.m., beginning October 7, 2013 at the Mt. Zion United Methodist Church, 409 Oxford Street in Pocomoke City. Baltimore, MD (September 16, 2013) - The Maryland Department of Health and Mental Hygiene (DHMH) announced today that the DHMH Office of Family Planning and Home Visiting has been awarded a two year $6.4 million “Maternal, Infant and Early Childhood Home Visiting Program (MIECHV) Expansion” grant from the Health Resources and Services Administration (HRSA). The aim of the grant is to expand the availability of home visiting programs to improve outcomes and reduce health and developmental disparities for at risk expectant families and families with young children. Maryland is one of 13 states to receive this competitive award which is renewable for another year. For the last three years, Maryland has also received an annual MIECHV formula grant of $1.3 million. BALTIMORE (September 12, 2013) - Governor Martin O’Malley has appointed eleven members to the Medical Marijuana Commission as designated by HB 1101. The legislation, passed during the recent General Assembly session, creates a Commission that has the authority to permit academic research centers to design and implement programs that make marijuana available for medical purposes to defined groups of patients. Snow Hill, Md. (September 12, 2013) – Worcester County Health Department has received an increase in calls related to bats in homes over the past few weeks. This is the time of year that bats may be leaving the colony location and can occasionally be found on the outside of homes or buildings or in unsecured openings in homes. Take a Deep Breath – You Can Quit Smoking! Snow Hill, Md. (September 11, 2013) - The Worcester County Health Department is committed to helping smokers establish new behavior patterns that can lead to a tobacco free lifestyle and are encouraging smokers to join one of the FREE “Motivation to Quit” smoking cessation group classes. Classes will be held from 5-6 p.m. on October 1 at the Berlin Health Center and on October 3 at the Pocomoke Health Center. Snow Hill, Md. (September 11, 2013) – Fall in to fitness this October and participate in the inaugural Snow Hill Safe and Healthy Walk to be held at 5 p.m. on Wednesday, October 2nd at Byrd Park on Market Street in Snow Hill. This is a FREE event co-sponsored by the Worcester County Health Department and the Town of Snow Hill. The first 50 participants will receive a free personal flashlight. BALTIMORE (September 10, 2013) – The Department of Health and Mental Hygiene (DHMH) joins the National Suicide Prevention Lifeline in recognizing National Suicide Prevention Week, September 8th – 14th. This year's campaign encourages people to reach out through their community circles on Facebook, Twitter and other social media platforms to highlight prevention efforts and link to the National Suicide Prevention Lifeline at http://www.facebook.com/800273TALK. Snow Hill, Md. (August 28, 2013) – The Wicomico and Worcester County Health Departments received updated test results from the State of Maryland that a mosquito pool in southern Worcester County tested positive for Eastern Equine Encephalitis (EEE). In Wicomico County, there was one pool that tested positive for West Nile Virus (WNV), one pool that tested positive for EEE, and an additional pool tested positive for both. The pools were sampled in remote, low lying areas of the counties, usually known to have standing water year round. This is in addition to the single sample of mosquitoes from Ocean Pines that tested positive for WNV last week. BALTIMORE, MD (August 27, 2013) - The Parents’ Place of Maryland (PPMD), in coordination with the Maryland Department of Health and Mental Hygiene (DHMH), has been awarded two grants to help improve the identification and care of children with autism spectrum disorders, other developmental disabilities and epilepsy. 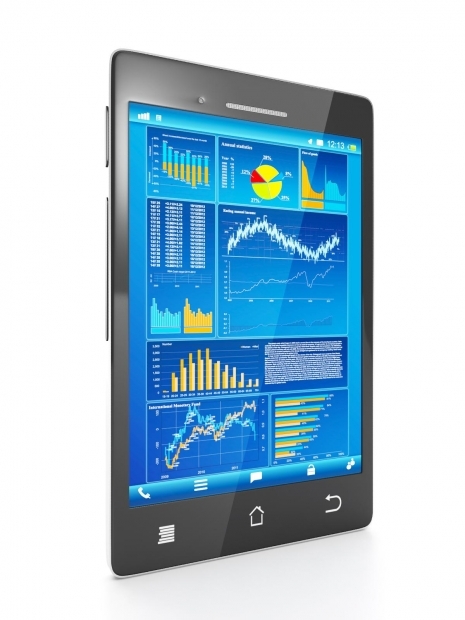 The grant funding is from the U.S. Health Resources and Services Administration (HRSA). BALTIMORE (August 23, 2013) – The Maryland Department of Health and Mental Hygiene (DHMH) today announced that three West Nile Virus (WNV) cases have been confirmed. These are the first confirmed cases of WNV in Maryland in 2013. All three infected individuals are adults who live in the Baltimore Metropolitan Area. West Nile virus has also been detected in mosquito pools collected in Montgomery County and Worcester County. A mosquito pool is a group of mosquitoes collected at one of several trap sites across the State. BALTIMORE (August 16, 2013) – A case of Eastern equine encephalitis (EEE) has been confirmed in a horse in Worcester County. The horse tested positive for EEE which, like West Nile virus, is spread by mosquitoes. 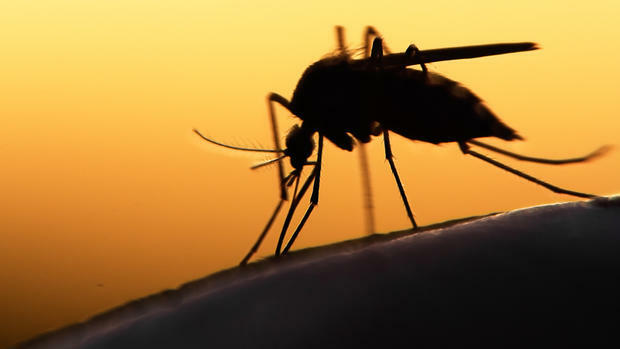 Officials remind Marylanders to take precautions to protect themselves and their families from mosquito bites to prevent mosquito-borne diseases. Snow Hill, MD (August 14, 2013) - Do you or a family member have diabetes and need additional resources and support? The Worcester County Health Department sponsors a monthly diabetes support group in Pocomoke and Snow Hill. Anyone interested in learning more about diabetes and its treatment is invited to attend. SNOW HILL, MD (August 14, 2013) – The Worcester County Health Department received notification that a single sample of mosquitoes from the Ocean Pines area have tested positive for the West Nile virus. This is the first West Nile virus positive mosquito sample for Worcester County this year. West Nile Virus was first identified in Worcester County in 2003. SALISBURY, MD (August 13, 2013) – The health departments of Dorchester, Somerset, Wicomico and Worcester counties invite the public to Emergency Preparedness Night on August 16th at Arthur W. Perdue Stadium. The Delmarva Shorebirds will play against the Lakewood Blueclaws at 7:05 p.m. OCEAN CITY, MD (August 13, 2013) – At 10am on Saturday, September 28 at the Worcester County Health Department on Caroline Street in Ocean City, suicide prevention activists will gather for the Second Annual Out of the Darkness Community Walk for Suicide Prevention. SNOW HILL, MD (August 13, 2013) – The Worcester County Health Department is requesting proposals to address tobacco control as a result of receiving Cigarette Restitution Funds through the State of Maryland. ELKTON (August 9, 2013) – Governor Martin O’Malley today joined federal, state and local officials at a public roundtable to address drug overdose deaths in Cecil County and statewide, and discuss efforts to prevent overdoses and increase access to substance abuse treatment. Maryland has adopted a new strategic goal to reduce overdose deaths 20 percent statewide by the end of 2015. BALTIMORE (August 7, 2013) – Department of Health and Mental Hygiene (DHMH) Secretary Dr. Joshua M. Sharfstein today announced the appointment of Dr. Tricia Tomsko Nay as the Executive Director of the Office of Health Care Quality (OHCQ). OHCQ is the licensing and regulatory agency that monitors the quality of care in 14,000 health care facilities and community based programs across Maryland. Dr. Nay joined OHCQ as the Medical Director in 2008 and has been the Acting Executive Director since January 2013. BALTIMORE, MD (August 5, 2013) –Less than nine months after the Department of Health and Mental Hygiene (DHMH) launched a statewide initiative to improve the support that hospitals give to breastfeeding mothers, all 32 birthing hospitals in Maryland have committed to adopt Maryland's Hospital Breastfeeding Policy Recommendations or become certified as 'Baby-Friendly.' Studies have shown that breastfeeding is one of the most effective preventive health measures for both infants and mothers. Baltimore, MD (July 24, 2013) — The Maryland Department of Health and Mental Hygiene (DHMH) has released a new report, “American Indians and Alaska Natives in Maryland: Health Data and Resources,” the third in a series to raise awareness of health conditions and provide educational resources for minority populations in the state. SNOW HILL, MD (July 19, 2013) Because of the continuing heat index,the Snow Hill Senior Center will be opened as a cooling center on Friday and Saturday, July 20 and 21 from 9AM to 5PM. Transportation to the center will be available through Shore Transit. Baltimore, MD (July 18, 2013) - The Department of Health and Mental Hygiene (DHMH) has released a new report, "Hispanics in Maryland: Health Data and Resources,” the second in a series to raise awareness of health conditions and provide educational resources for minority populations in the state. WORCESTER COUNTY (July 17, 2013) The Maryland Department of the Environment issued an Air Quality Alert for today, and the National Weather Service issued a Hazardous Weather Outlook, with a heat index of over 100 degrees. The Worcester County Commission on Aging will have Senior Centers in Pocomoke, Snow Hill, Berlin, and Ocean City open as cooling centers on Wednesday, July 17 and Thursday, July 18 from 9AM to 3:30PM. These cooling centers are for adults 55+. BALTIMORE (July 17, 2013) – The Maryland Department of Health and Mental Hygiene, in conjunction with the Climate Communication Consortium of Maryland and George Mason University, today released the results of the first comprehensive survey of Maryland residents to find out what they think about the public health impacts of climate change. The survey was conducted, in part, to help the Department understand public attitudes about health and the environment, and particularly about two important environmental changes occurring today: climate change and changes in the energy picture of the State and nation. BALTIMORE (July 10, 2013) – Health and law enforcement officials across Maryland are taking steps to counter an increase in the number of heroin-related overdose deaths. The Maryland Department of Health and Mental Hygiene today released a report today showing that the number of heroin-related overdose deaths increased from 245 in 2011 to 378 in 2012, a 54 percent rise. This increase led to a 15 percent rise in the total number of fatal drug- and alcohol-related overdoses in the State, from 663 in 2011 to 761 in 2012. Ocean City, Md. – Worcester County Health Department warns citizens and visitors in Ocean City to exercise caution and report immediately any aggressive wildlife, i.e. raccoons, foxes, skunks, and/or feral cats to local law enforcement/animal control. BALTIMORE (July 3, 2013) – The Scenic Fruit Company of Gresham, Oregon, has voluntarily recalled 5,091 cases of Woodstock Frozen Organic Pomegranate Kernels. Information gathered during investigations by state public health departments, the Food and Drug Administration (FDA), and the Centers for Disease Control and Prevention (CDC), indicates that these pomegranate kernels have the potential to be contaminated with hepatitis A virus. BALTIMORE (July 3, 2013) -- Recognizing that effective treatments for serious mental illness can help individuals live healthier, more fulfilling lives, Governor Martin O’Malley has directed the Department of Health and Mental Hygiene (DHMH) to convene an advisory panel to explore ways to enhance continuity of care for individuals with serious mental illness. BALTIMORE (July 1, 2013) – The Maryland Department of Health and Mental Hygiene today will begin tracking West Nile virus (WNV) cases for the 2013 season. Officials remind Marylanders to take precautions to protect themselves and their families from mosquito bites in order to prevent West Nile Virus. Ocean City, Md. – Worcester County Health Department confirmed late yesterday afternoon that a raccoon that attacked a man in north Ocean City tested positive for rabies. BALTIMORE (June 20, 2013) – Tomorrow, June 21, 2013, Maryland’s statewide ban on the sale of crib bumper pads will take effect. Ocean City, Md. 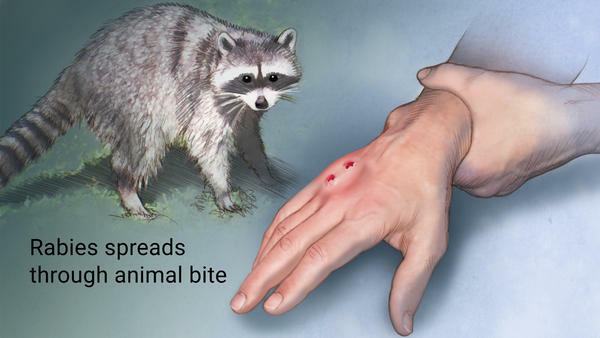 – Worcester County Health Department confirmed late yesterday afternoon that a raccoon that attacked a person in north Ocean City tested positive for rabies. BALTIMORE (June 13, 2013) – The Office of Health Care Quality (OHCQ) has released its annual Hospital Patient Safety Report, which analyzes the serious adverse events reported by Maryland hospitals in Fiscal Year 2012. BALTIMORE, MD (June 12, 2013) -- A burial service will be held on Monday, June 17 at Springfield Hospital Center in Sykesville for those people who have donated their bodies to science in the state of Maryland. The interdenominational service will be conducted at 1:30 p.m. across from the Patterson House. A proclamation will be presented from the office of Governor Martin O’Malley recognizing Monday, June 17, 2013, as "Anatomical Donor Appreciation Day" in Maryland. Snow Hill, Md. – Beginning on July 8 in Ocean Pines, get fit, lose weight, and improve your health with certified lifestyle coaches through group sessions. The Lifestyle Balance Program will meet on Mondays and Wednesdays from 10 – 11 a.m. for 16 weeks at the Community Church at Ocean Pines, 11227 Racetrack Road in Berlin, MD. The program will continue to meet once/month for six months following conclusion of the initial 16 week core education program. TAKE A DEEP BREATH- YOU CAN QUIT SMOKING! Snow Hill, Md. – Worcester County Health Department is committed to helping smokers establish new behavior patterns that lead to a tobacco free lifestyle. Smoking cessation aids (CHANTIX, gum, patch, lozenges) are available through a voucher program. Baltimore (June 6, 2013) – The Maryland Department of Health and Mental Hygiene (DHMH) advises residents not to consume or purchase certain lots of Townsend Farms Organic Antioxidant Blend sold at Costco and Harris Teeter grocery stores that have been linked to an outbreak of hepatitis A. The blend contains a mix of berries, cherries, and pomegranate. While initial reports suggested that the implicated lots of this product were distributed only on the west coast, it now appears that product was distributed more broadly, including to Maryland. BALTIMORE, MD (May 29, 2013) – As Maryland prepares for the first heat wave of 2013, the Department of Health and Mental Hygiene reminds Marylanders to take the necessary precautions to avoid heat- related illnesses. Worcester County Health Department is pleased to announce it has been selected by the Maryland Health Benefit Exchange to implement a regional consumer assistance program to help educate, determine eligibility and enroll uninsured residents into private health plans or Medicaid. The Maryland Health Benefit Exchange is the public corporation and unit of Maryland state government responsible for the implementation of the state-based insurance exchange through the Affordable Care Act. The anticipated $1.2 million grant will fund the new program which includes staff who will provide face-to-face assistance with navigating Maryland Health Connection, the state-based health insurance marketplace, in Somerset, Wicomico and Worcester counties. The Lower Shore program operated by the Worcester County Health Department will employ 17 new positions to provide outreach, education, eligibility determination and enrollment services particularly to hard-to-reach populations. Baltimore, MD (May 21, 2013) — The Department of Health and Mental Hygiene reminds all Marylanders that the week before Memorial Day is Recreational Water Illness and Injury Prevention Week. Thousands of residents will head to the beach or to pools this weekend. Staying safe at the water means using common sense to prevent both injuries and illnesses. Baltimore , MD (May 15, 2013) –The Maryland Department of Health and Mental Hygiene (DHMH) Prevention and Health Promotion Administration (PHPA) joins the Centers for Disease Control and Prevention (CDC), the Family Health Centers of Baltimore-Cherry Hill, and Sisters Together and Reaching (STAR) in observing May 15th as National Hispanic Hepatitis Awareness Day, during Hepatitis Awareness month. This year’s national theme is Hablemos Sobre la Hepatitis (Let’s Talk About Hepatitis). BALTIMORE (May 13, 2013) – The Maryland Department of Health and Mental Hygiene has proposed revisions to the form that tanning facilities must use to obtain consent from a parent or legal guardian before a minor may use a tanning device. The Department is requesting public comment on the proposed revisions. BALTIMORE, Maryland, May 13, 2013 – “Your Health Matters! You Are Royalty” is the theme for the 2013 Youth Health and Leadership Summit which will be held on Saturday May 18, 2013 in Landover, Maryland. The free event is organized by The After School Institute and co-sponsored by the Maryland Department of Health and Mental Hygiene (DHMH), Montgomery County Department of Health and Human Services, BETAH Associates Incorporated, Prince Georges County Health Department, and the Prince George's County Public School System. ANNAPOLIS (May 2, 2013) – Governor Martin O’Malley today signed three new laws that will provide critical protections for patients in Maryland. The Department of Health and Mental Hygiene advocated in favor of the new laws, which will allow for greater oversight and protection in a variety of settings. BALTIMORE (April 25, 2013)—The Maryland Health Benefit Exchange (MHBE), the public corporation and unit of Maryland State government responsible for the implementation of the state-based insurance exchange through the Affordable Care Act, announced today the launch of its Connector Program with the award of an anticipated $24 million in grant funds to six organizations serving as consumer assistance and enrollment resources throughout the state. The Worcester County Health Department, located in Snow Hill, will serve as the prime grantee for a period of 12 months beginning July 1st to meet the needs of individuals and small employers in Wicomico, Somerset and Worcester Counties through outreach and education, eligibility determination and enrollment into Medicaid and qualified health plans. The regional approach ensures that the needs of Maryland’s uninsured and underserved communities are provided with in-person assistance as the new health insurance coverage options become available in October 2013 through Maryland Health Connection, the state-based health insurance marketplace. 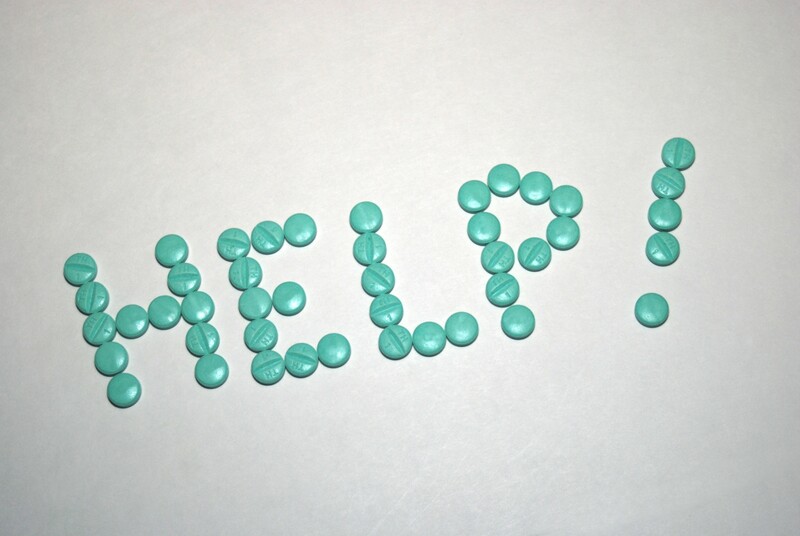 BALTIMORE (April 25, 2013) – On Saturday, April 27, from 10 a.m. to 2 p.m., residents will have another opportunity to prevent pill abuse and theft by ridding their homes of potentially dangerous expired, unused, and unwanted prescription drugs. Local law enforcement agencies and the Drug Enforcement Administration will host events for National Prescription Drug Take Back Day. Baltimore (April 18, 2013) -- As the weather gets warmer and people and their pets are enjoying more time outdoors, the risk of rabies transmission from animals to people is at its highest. The Maryland Department of Health and Mental Hygiene (DHMH) reminds Marylanders to be mindful of the risk and take the proper precautions. BALTIMORE, MD (April 16, 2013) — The Maryland Department of Health and Mental Hygiene’s Office of Minority Health and Health Disparities and the University of Maryland School of Public Health and its Herschel S. Horowitz Center for Health Literacy have released the Primer, a free resource guide for health professional educators to provide tools for teaching cultural competency. Snow Hill, Md. -- Worcester County Health Officer Debbie Goeller is pleased to announce Tracy Tilghman as director of the health department’s Behavioral Health Program. Baltimore, MD (April 4, 2013) – In 2012, a landmark national ad campaign from the U.S Centers for Disease Control and Prevention (CDC), “Tips from Former Smokers,” coincided with nearly a 90 percent increase in call volume to Maryland’s Quitline, with over 4,000 additional calls from Maryland residents during the campaign. In March 2013, CDC re-aired the ads from last year’s campaign, which drove up call volume to over 400 percent more than in the previous month. Baltimore, MD (April 2, 2013) – Brushing teeth twice a day for two minutes can save a smile. But using those minutes for a painless oral cancer exam during a medical or dental check-up can save a life. BALTIMORE (April 1, 2013) – The Maryland Department of Health and Mental Hygiene (DHMH) joins the Centers for Disease Control and Prevention (CDC) and state and local partners around the country in the observance of April as Sexually Transmitted Diseases (STD) Awareness Month. Snow Hill, Md. 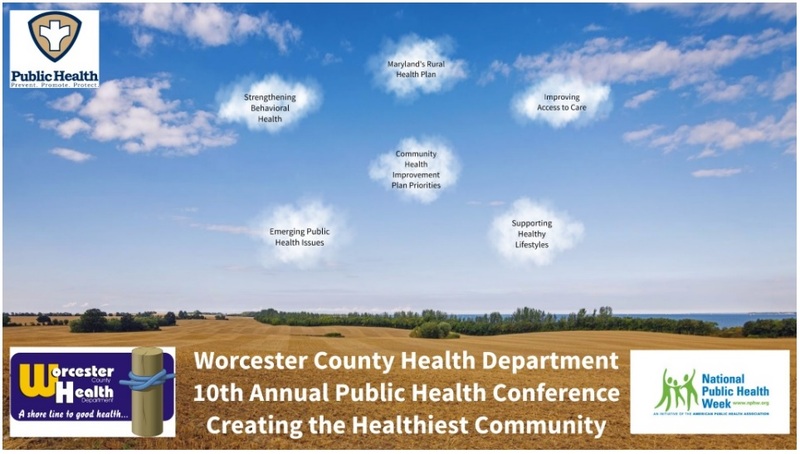 – The Worcester County Health Department will celebrate National Public Health Week 2013 by hosting its 4th Annual Public Health Conference for invited community partners on Wednesday, April 3 at the Clarion Resort in Ocean City. BALTIMORE (March 21, 2013) – The Maryland Department of Health and Mental Hygiene (DHMH) and the Maryland State Department of Education (MSDE) today joined the Maryland Chapter of the American Academy of Pediatrics (MDAAP) to promote the Reach Out and Read Program, which is currently recruiting Primary Care practices to help promote early literacy by making books a routine part of care. SPRING IN TO ACTION- YOU CAN QUIT SMOKING! Snow Hill, Md. -- The Worcester County Health Department is committed to helping smokers make changes that lead to tobacco-free lifestyles. BALTIMORE, MD (March 12, 2013) – The Department of Health and Mental Hygiene (DHMH) has confirmed the death of a Maryland adult from rabies. This is the state's first case of human rabies since 1976. It is not yet known how the person was exposed to rabies virus. No additional information about the individual will be released to protect the privacy of the family. Snow Hill, Md. - The 16th Annual Tortoise & the Hare Dare, a 5K walk/run, will be held 9 a.m. Saturday, April 13 at Pocomoke River State Park-Shad Landing in Snow Hill, Maryland. Registration begins at 8:30 a.m. This is a FREE event and participants will receive T-shirts. The walk is co-sponsored by the Worcester County Health Department, Worcester County Department of Recreation & Parks, and Pocomoke River State Park. Snow Hill, Md. – The Worcester County Drug and Alcohol Abuse Council is seeking nominations of individual adults, youth, or groups who have made outstanding community contributions to drug and alcohol prevention or treatment. BALTIMORE (February 19, 2013) — The Maryland Department of Health and Mental Hygiene (DHMH) and its Office of Minority Health and Health Disparities (MHHD) have released the newest edition of the Maryland Chartbook of Minority Health and Minority Health Disparities Data as part of the state’s expanded effort to eliminate health disparities and achieve health equity. Efforts in Maryland to address health disparities include the Health Enterprise Zone program, the implementation of the coverage expansion under the Affordable Care Act, the State Health Improvement Process, and others. BALTIMORE, MD (February 14, 2013) - The Department of Health and Mental Hygiene (DHMH) is launching a new online resource database for children and youth with special health care needs. In Maryland, over one third of families of these children report that they cannot easily access needed community based services and half of the same families report that they need help finding services for their youngsters. For families in rural areas of the state, it can be even more difficult to find specialty services. Snow Hill, Md. – The Worcester County Homeless Committee will host a Community Resource Day for homeless people or people at risk of homelessness from 11 a.m. – 1 p.m. on February 27 at Salem United Methodist Church, 500 2nd St. in Pocomoke. Snow Hill, Md. -- Proper oral hygiene and access to dental care are critical to the health and wellbeing of children and adults. Good oral health not only affects one’s ability to smile, chew, taste, and talk, but also prevents oral cancer, heart disease and other illnesses. Snow Hill, Md.-- Did you resolve get fit in 2013? The Worcester County has a simple, free program to help motivate you to keep your New Year’s resolution. Snow Hill, Md. – The annual Tri County Go Red Event will be held 5:30-8 p.m. on Wednesday, February 6 at the Berlin Intermediate School, 309 Franklin Avenue in Berlin. Snow Hill, Md. – Financial assistance is now available for eligible people to get birth certificates or state identification cards through a program called the Homeless ID Project. (Baltimore, MD) January 18, 2013 – Weekly surveillance indicates that influenza remains steady around Maryland, but some indicators suggest declines. The pattern in Maryland is consistent with what is being seen in some other parts of the country. At the same time, however, laboratory testing confirmed this week that a Baltimore area child who died in December tested positive for influenza. The child also had an underlying health condition. Baltimore, MD (December 27, 2012) — The first Maryland death related to hypothermia this winter has been reported, according to the Office of the Chief Medical Examiner (OCME) and the Department of Health and Mental Hygiene’s Office of Preparedness and Response (OPR). The Department reminds residents to take necessary precautions as temperatures continue to remain low this week. Baltimore, MD (December 21, 2012) -- The Maryland Department of Health and Mental Hygiene (DHMH) today announced that through special molecular testing done on blood specimens at the Centers for Disease Control and Prevention (CDC), four more Maryland patients infected with Hepatitis C virus were found to have virus closely related to infections linked to David Kwiatkowski, a healthcare worker accused of diverting narcotics for personal use. The four were patients of Johns Hopkins Hospital during the time from July 10, 2009, to January 9, 2010, when Kwiatkowski was placed there by a medical staffing agency. The results are in addition to a previously identified and reported patient of the Baltimore VA Medical Center with closely related virus. Baltimore (December 20, 2012) – The Maryland Department of Health and Mental Hygiene (DHMH), the Maryland Health Benefit Exchange (MHBE) and the Community Health Resources Commission (CHRC) today announced the launch of Maryland’s Access to Care program. The Access to Care program is designed to foster collaboration between the state, health insurers and safety net providers as each plans for newly insured Marylanders who will start to access healthcare services in 2014. This program is built on the requirement that network plans offered through Maryland Health Connection, the state-based health insurance marketplace, provide meaningful access to critical health services including primary, reproductive, HIV/AIDS and behavioral health care. BALTIMORE (December 7, 2012) – The Maryland Department of Health and Mental Hygiene today released data for the first seven months of 2012 that show an increase in overdose deaths related to heroin coinciding with a decline in overdose deaths related to prescription opioids. Overall, there were six percent more drug overdose deaths during the first seven months of 2012 compared to the same period in 2011. Baltimore, MD (December 3, 2012) — The Maryland Department of Health and Mental Hygiene (DHMH), Center for Tobacco Prevention and Control (CTPC) today announced new services for the Maryland Tobacco Quitline, 1-800-QUIT-NOW, just in time to help Marylanders to quit smoking in the new year. Baltimore, MD (November 29, 2012) - The Maryland Department of Health and Mental Hygiene (DHMH) Prevention and Health Promotion Administration recognizes December 1 as World AIDS Day, along with the World Health Organization, UNAIDS, the Centers for Disease Control and Prevention (CDC), the U.S. Department of Health and Human Services, and many local partners. Holiday cheer isn’t the only thing that’s contagious this time of year. Winter months are prime time for the spread of colds and flu viruses. Baltimore -- (November 16, 2012) – Following an 18-month investigation into the safety of baby crib bumper pads, the Department of Health and Mental Hygiene (DHMH) has published final regulations to ban their sale in Maryland effective June 21, 2013. Baltimore, MD (November 14, 2012) – The Maryland Advisory Council on Arthritis and Related Diseases, together with the Department of Health and Mental Hygiene (DHMH), will sponsor a free ‘Arthritis Lunch and Learn’ on Friday, November 16, from 11:00 a.m. to 2:00 p.m. at the Bain Center in Columbia for those who register with the Bain Center. ROCKVILLE, MD (November 13, 2012) – At Shady Grove Adventist Hospital, the Department of Health and Mental Hygiene (DHMH) today released the 2012 Maryland Hospital Breastfeeding Policy Recommendations. The recommendations lay out evidence-based practices to help hospitals eliminate hidden barriers and support new mothers who choose to breastfeed. Baltimore, MD (November 5, 2012) -- The Maryland Department of Health and Mental Hygiene (DHMH) today announced the results of special molecular testing done at the Centers for Disease Control and Prevention (CDC) on a blood specimen from a patient of the Baltimore VA Medical Center with hepatitis C infection. The special testing indicates that the Maryland patient’s infection is closely related to infections linked to David Kwiatkowski, a healthcare worker accused of diverting narcotics for personal use. Snow Hill, Md. – Kim Klump, a local leader and advocate for suicide prevention, was recognized for her distinctive volunteer efforts and contributions to the community at the annual Maryland Rural Health Association Conference in Solomons Island last week. Snow Hill, Md. – Fall in to fitness this November and participate in the inaugural Just Walk Berlin event to be held on Saturday, November 17 at Stephen Decatur Park, Rt. 113 and Tripoli Street, Berlin. Snow Hill, Md. – November 15 is National Great American Smokeout Day. For individuals thinking about quitting smoking, this may be the best day to do it. The Great American Smokeout may offer just the support you need by knowing that other smokers are also giving up cigarettes for the day. BALTIMORE, MD (October 19, 2012) - Seasonal influenza has officially hit in Maryland, with four confirmed cases, the Department of Health and Mental Hygiene (DHMH) announced today. The first laboratory-confirmed cases of seasonal influenza have been diagnosed in four children in the Baltimore Metropolitan Region. One of the four was hospitalized, and all four are doing well. Three of the children had type A (H3N2) influenza, while one had type B influenza. Last season, the first confirmed case of influenza was reported on December 30, 2011. BALTIMORE, MD (Oct. 17, 2012) — Today’s ninth annual Maryland Health Disparities Conference celebrated advances in Maryland legislation that help improve health among all Marylanders and reduce health disparities as the state strives to be a national model for health equality and reform. BALTIMORE, MD (October 15, 2012) – The Maryland Department of Health and Mental Hygiene (DHMH) Prevention and Health Promotion Administration (PHPA) joins federal, state, and local partners around the country in the observance of October 15, 2012 as National Latino AIDS Awareness Day. This year’s theme is Hispanics United to End AIDS. Baltimore MD (October 12, 2012) - The Maryland Health Care Commission announced the appointment of Ben Steffen as Executive Director. For the past year, Mr. Steffen has been serving as Acting Executive Director of the Commission. In this role, he has been a spokesman for the Commission on State health care expenditures, physician work force, physician uncompensated care, and information security. In the 2012 regular session of the General Assembly, he successfully shepherded legislation that will continue the State’s regulatory oversight of primary and non-primary percutaneous coronary intervention services. Baltimore, MD (October 10, 2012) – The Department of Health and Mental Hygiene (DHMH) requests informal comments from the public on proposed changes to the state’s procedures for recommending candidate physicians to the U.S. Department of State for J-1 Visa Waivers. Baltimore, MD (October 9, 2012) - Governor Martin O'Malley announced today that the Department of Health and Mental Hygiene (DHMH) has earned a top score in public health emergency preparedness from the Centers for Disease Control and Prevention (CDC). The annual review and evaluation process was conducted earlier this year. Snow Hill, Md. 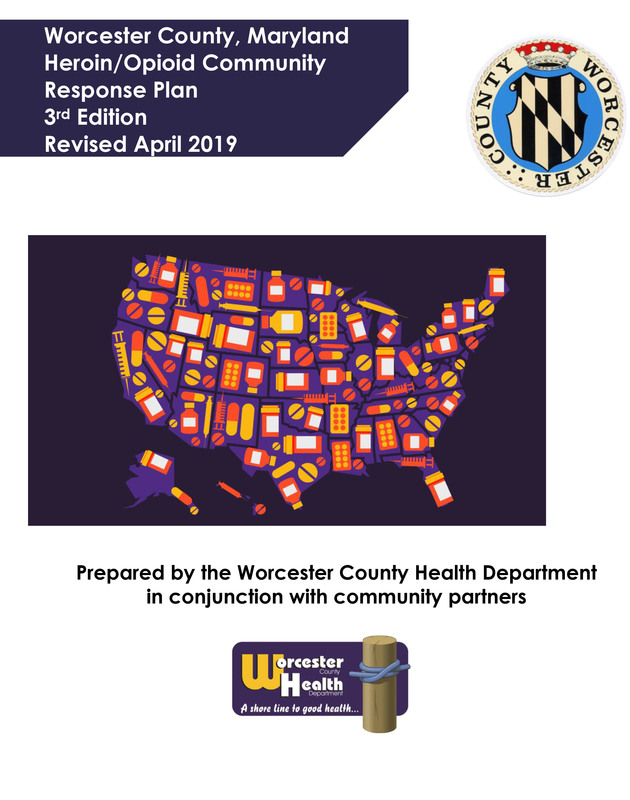 – The Worcester County Health Department is pleased to announce its high score from this year’s Strategic National Stockpile plan review and site visit – a 97 out of possible 100. Snow Hill, Md. – The National Public Health Information Coalition announced the Worcester County Health department has been recognized in a national competition honoring excellence in public health communication. Snow Hill, Md. (Oct. 5, 2012) – The Worcester County Health Department urges all residents age 6 months and older to get vaccinated for the 2012-2013 seasonal flu. BALTIMORE (October 3, 2012) – Department of Health and Mental Hygiene (DHMH) Secretary Dr. Joshua M. Sharfstein announced today the appointment of Dr. Gayle Jordan-Randolph to serve as the Deputy Secretary for Behavioral Health. In this position, Dr. Jordan-Randolph will provide executive direction to the Alcohol and Drug Abuse Administration, the Mental Hygiene Administration, the Developmental Disabilities Administration, and Forensic Services. BALTIMORE (October 2, 2012) – During the week of Sept 17, 2012, The Maryland Department of Health and Mental Hygiene (DHMH) and the Baltimore County Department of Health began investigating a cluster of three severe invasive Group A Streptococcus (GAS) infections in persons who recently had liposuction at a cosmetic surgery center, Monarch MedSpa, in Timonium, Maryland. As reported previously, the procedures occurred in mid-August to mid-September. All three patients were hospitalized; one subsequently died. DHMH and Baltimore County ordered the facility closed on September 18. Baltimore, MD (October 3, 2012) -- The Maryland Department of Health and Mental Hygiene (DHMH) is investigating an association between spinal injections and the development of meningitis as part of a larger multi-state investigation. At this time, DHMH has identified two cases among Maryland residents, one whom has died. No case information will be released. BALTIMORE, MD (September 26, 2012) – The Maryland Department of Health and Mental Hygiene (DHMH) joins partners in Maryland and around the world in the sixth annual recognition of September 28th as World Rabies Day, a worldwide event to raise awareness about the impact of rabies in humans and animals. BALTIMORE (September 28, 2012) – Tomorrow, from 10 a.m. to 2 p.m., Marylanders will have another opportunity to prevent pill abuse and theft by ridding their homes of potentially dangerous expired, unused, and unwanted prescription drugs. Local law enforcement agencies and the Drug Enforcement Administration will host events for National Prescription Drug Take Back Day. Snow Hill, Md. – The Worcester County Homeless Committee will host a Community Resource Day for homeless people or people at risk of homelessness from 11:30 a.m. – 1 p.m. on October 19 Atlantic United Methodist Church in Ocean City. Fall into a healthier lifestyle – You CAN quit smoking!